Alwar is one amongst the oldest cities in the state of Rajasthan; ironically, it is the youngest Rajput kingdoms. As per traditions, one can look back to the Kingdom of Viratnagar, which flourished here sometime around 1500 BC. The place was also known as Matsya Desh, which was the place where the Pandavas spent the last year of their 13-year exile, according to the Mahabharata. A relatively younger Rajput Kingdom, it fell into the hands of the Delhi Sultanate sometime between the 12th and 13th centuries; however, Maharana Pratap Singh won back Alwar in the year 1771 AD, before building a state of his own. Located at a distance of about 160 km from Delhi, it is one amongst the most popular destinations in the state of Rajasthan which attracts visitors from near and far equally, mainly due to its proximity to the much renowned Sariska Tiger Reserve and the Bhangarh Fort. Best Time To Visit: Alwar is a year-around destination; however, the months from October to March are considered the best time to visit. By Air: The nearest major airport is the Indira Gandhi International Airport in Delhi, which is located at a distance of 140 km from here. By Train: Alwar Junction is the major railhead. The station has regular trains, which connects to Delhi, Jaipur and other towns and cities across the country and the state of Rajasthan. The total driving distance from Delhi to Alwar is approximately 160 km; and, it would take you about 3 to 4 hours to reach the heritage town from Delhi. One can reach the place by taking the following routes from Delhi. Those who want to opt for Route 1, it would take you approximately around 3 h 43 min to reach Alwar, via the Alwar-Bhiwadi Road. The route takes you through the well-known towns of Panchgaon, Gurugram, etc. The roads are well-maintained, which helps one cover the distance at a good pace and the distance is about 165 km through this route. If you opt for Route 2, it would take you approximately 4 h 48 min to cover a total distance of 200 km from Delhi to Alwar, via the Narnaul - Behror-Alwar Road. By Route 3, it would you take you 5 h to cover a distance of 171 km via NH 248A from Delhi to Alwar. If you opt for Route 1, an early morning start from Delhi is a must for two reasons; the first one to beat the city traffic and second to beat the highway traffic. Once on the highway, there are plenty of options for one to have a filling breakfast. Bhiwadi can be considered as a stopover for a quick bite. The area is filled with a large number of industries, especially factories of some reputed automobile companies can be found here. The town is considered as the industrial hub of Rajasthan and shares its border with the neighbouring state of Haryana. Alwar is the place where the journey of the famed Fairy Queen comes to an end. It is the oldest working engine in the world, which was built in the year 1855, which was acquired by the Eastern Indian Railways from a British company. The train which loops this engine is now a major tourist draw. 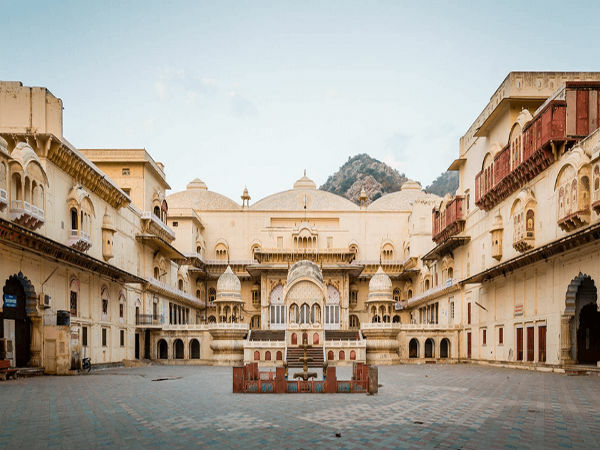 Situated amidst the greenery of the Aravalli ranges, Alwar is home to a large number of beautiful palaces and forts which remind you of a bygone era. With its deep valleys and lush greenery it makes the abode of many birds and animals, most notably the Bengal tiger, white-throated Kingfisher and the golden jackal. Built on the foundation of a 10th century mud fort atop a hill, the Bala Quila or young fort is known for its strong fortifications, beautiful marble columns along with grand latticed balconies. It was constructed in the 15th century by Hasan Khan Mewati and passed its ownership to various dynasties starting from the Marathas, Yadavas and finally to the Kachwaha Rajputs. Built in the year 1793 AD by Raja Bakhtawar Singh, the structure is a perfect example which showcases the confluence of Rajputana and Islamic styles of architecture. The major draw of at this palace is its marble pavilions, which are constructed on lotus-shaped bases in its central courtyard. The palace at present houses the District Collectorate and its chambers are now various government offices. Built in the memory of Maharaja Bakhtawar Singha and his consort Rani Moosi. This empty tomb showcases the Indo-Islamic style of architecture; the upper part comprises of pavilions supported by columns along with domed arches, which are carved out of marble, while the lower sections are chiseled out of red sandstone. Once a hunting reserve of the Royals of Alwar, it was declared a wildlife reserve in the year 1955 and was given the status of a tiger reserve in 1978 after it was included in Project Tiger. 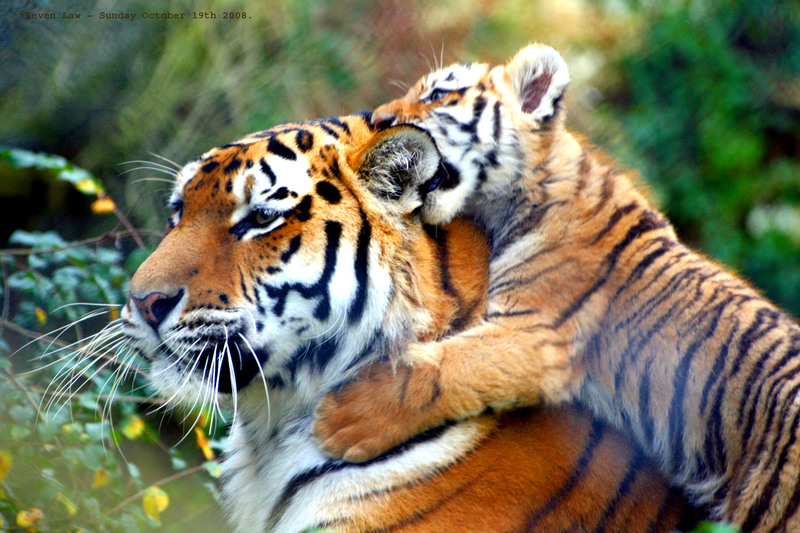 The reserve is spread across a total area of 866 sq km and holds the credit of being the first reserve in the world for successfully relocating tigers.